Stock price performance, not your motorcycle! 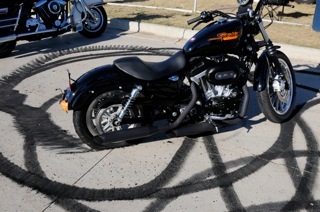 Harley-Davidson (HOG) shares have been on a smokin’ hot burnout of late. We’re talking about a 2nd gear blowing the melted tire kind — as the stock price approaches a 52-week high. Rumors of a merger or buyout floating around the web may have contributed. Who knows. The motor company is set to release its Q1’2010 earnings before the opening bell on Tuesday, April 20th. 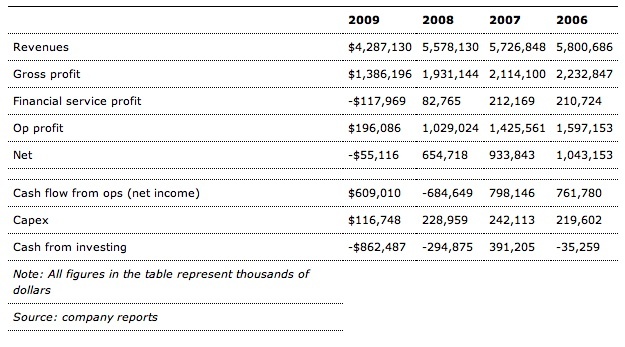 Analysts expect revenues for the quarter to be in the $1B range down from the $1.29B in Q1, 2009. As a predominate recreational luxury motorcycle, not used as a primary method of transport, you’d have to live on an island to be unaware of how the company has suffered during this ‘great recession.’ With contracting credit markets, the uncertainty of jobs, housing values in freefall, increases in state and federal taxes and despite a younger rebellious image in marketing campaigns the fact is that H-D’s average buying customer age is getting older at a rate of 6 months every year and has been for the last 20 years. It seems a decline in the Harley culture is inevitable if not certain. 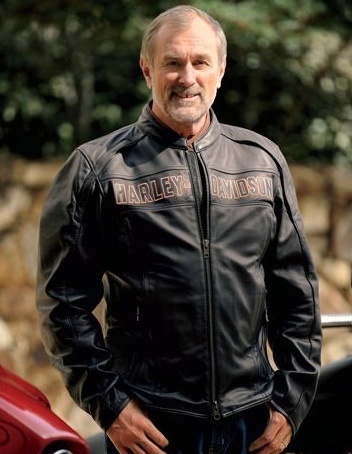 Harley competes more on image and getting customers to buy into the lifestyle (brand), and through “nostalgic design” and quality rather than price. This helps keep margins high which were in the 31% range for 2009. It will be interesting to learn next week if the company’s premium priced motorcycles have attracted buyers amid a weak spending environment or they’ve been successful in pulling in a fresh batch of younger riders. If Toyota sales increased 40% last month amid the sticking pedals and trapped mats on more than 8M vehicles maybe it’s time for H-D to announce an unintended throttle acceleration recall too! I’m hoping for good news next week. Photo courtesy H-D Financial Reports.